Princeton is a little cutie and a bundle of fun. He is playful, silly, and his smile simply lights up the room. If you get him into an arcade he is sure to use up all his quarters on the same racing game. With all the joy he brings to those around him, you would never know that half his life has been spent in care. Although he can be a blast to be with, he can be a little impulsive and he can be a little too rough with other kids, especially with females. With everything that he has lost and has been through, Princeton needs a family that will understand his needs and is willing to work with him on his attachment issues and aggression. His forever family needs to be a loving family that can provide him the one-on-one attention he needs with structure and compassion. 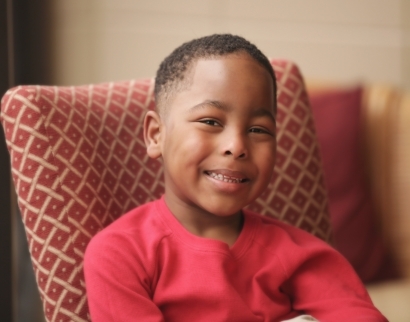 Princeton is still a little boy and wants a family to call his forever family. Is Princeton the son you have been waiting for? If you are interested in more information, fill out the inquiry below.